Rick Upton is excited. Not in a jump-up-and-down kind of way. But the second-term ward 4 councillor has a whole list of things going on in his ward that he is busting to talk about and he does jump from one to the other in our conversation quickly to make sure he gets it all in. And there is a lot. One thing he marvels at is not just the scale of some of the projects going on but the sheer number of proposals that have come racing into town offices recently. And with ward 4 being home to most of the available developable land in town limits, he has been running at a fast pace lately to keep up. The projects, he is quick to tell you, are varied bringing commercial projects as well as seniors and long-term care and residential. 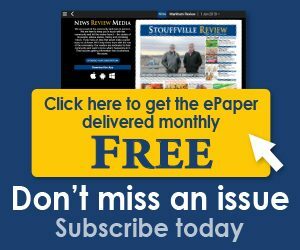 The commercial and the steady stream of tax dollars is especially important as Stouffville is quickly reaching its municipal limit of residential and the one-time development fees that have fed the Town for so long. In addition to tax dollars, commercial development brings jobs. Lots of them. Five-hundred or so to come from projects that are in planning or underway in his estimation, leading to his much-repeated claim that ward 4 is becoming the “backbone” of the town. The development ball started rolling with the re-development of the abandoned Southwire building where the Longo’s, Starbucks and others now reside. 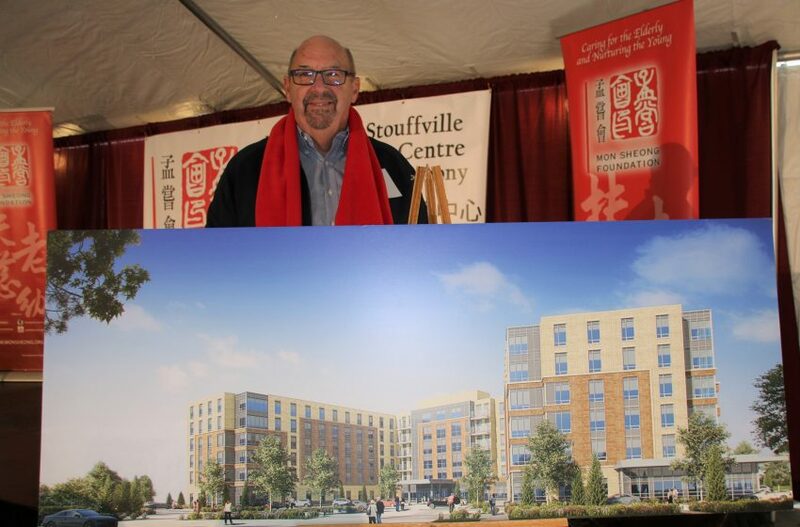 Ground was also broken on the Mon Sheong long-term care residence which will add over 300 beds to seniors of all cultures on Sandiford Drive while another seniors retirement project will bring room for 60 residents. 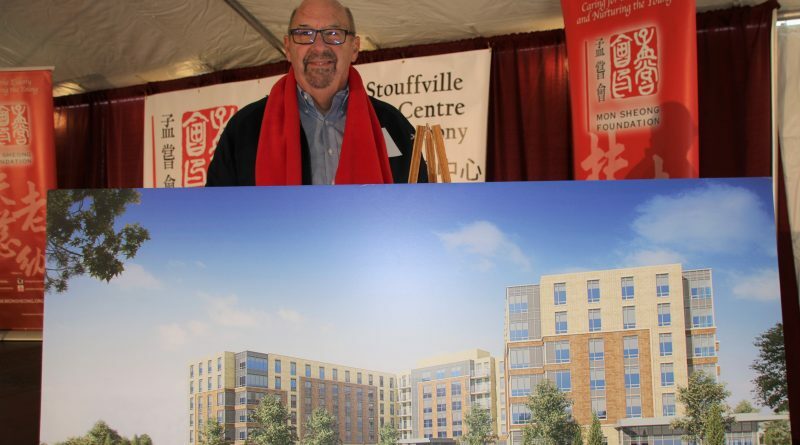 However, the single biggest development to be seen in Stouffville – perhaps ever – promises to take shape on the single biggest undeveloped plot of land in Town. The 100-acre property just south of Walmart, east of Hwy #48 is zoned commercial and owned by Corebridge Developments, the same group that developed the Longo’s site. While tight-lipped on the details being proposed, which will be presented to council in March, Upton just says it will be “big” and “impressive” and will likely host mixed-use commercial-residential and bring many “smart building” technologies and businesses that will be a showcase for the town and destination for communities surrounding Stouffville. But Upton also is stoked about other things. They include: A private school at Hoover and Mostar, two condo towers and 60 town-houses on Baker Hill at Main are in the immediate offing, another condo with 240 units at 9th and Reeves Way, 60-80 rental apartment units at 9th and Main and Weldon and Main where the Lion pub once stood that will have 80 condo units. With the supply of land for single-family homes tightening, it seems that condos will inevitably become more important to Stouffville generally, but he also notes that some more residential space in the form of a few hundred more condo units may be what’s good for downtown- a hot topic with many residents and fellow councillors. While Upton is excited about development, he does have to spend some of his time on nuts and bolt issues from residents – some of which are contentious. Some pit neighbours against neighbours and as ward councillor he ruefully notes, he gets to be in the centre of the fire. One such issue which involves the re-opening of Edward St. north of Main where a road once was and lies across what is York Region School Board property. It will likely be opened again, Upton says, “in the next 12-18 months.” But the process has been hampered by some residents that object to other neighbours’ desires and tedious environmental studies that different levels of government demand. “I find that frustrating, but that’s government,” he says. Finally, the “western approach” as the view coming into town along Stouffville Road from the West is known, is a bur under Upton’s saddle too, calling it “ugly.” Upton catalogues a number of places, starting with the notorious purple barn on the north-east corner, and then looking at derelict and abandoned buildings along that stretch to the east, as ripe for development. Why there are so many empty or unkept properties here, and for that matter, downtown is largely due to a quirk in development rules that rewards absentee owners for keeping them up and unused. “Once you tear down a building” he observes, “the clock starts and you have four years with the town and five years with the region. If you don’t rebuild (in that time) you don’t get a (development charge) credit. Upton aims to change rules like that if possible and encourage positive use of such places. 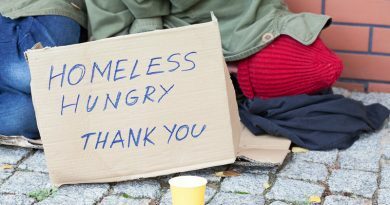 He also floats an idea that fellow councillor Richard Bartley mentioned recently, and that is the possibility of a vacancy tax to encourage owners of viable buildings or land to source tenants rather than have them function as a tax write-off. That, he says, he will look into.